The first month of 2018 has already come and gone, so it’s time for the first installment of the Wrestling House Show’s monthly wrap-ups! Join us as we discuss the highs and lows of January, 2018 in WWE, Ring of Honor, New Japan Pro Wrestling, and Stardom! There were some slow weeks, but there were also some matches that are sure to be on many top-ten lists at the end of the year. What did we think of the two Royal Rumble matches? Is the Daniel Bryan/Shane McMahon story worth continuing? What does the future hold for Kenny Omega and the Bullet Club? How did NXT break our hearts? 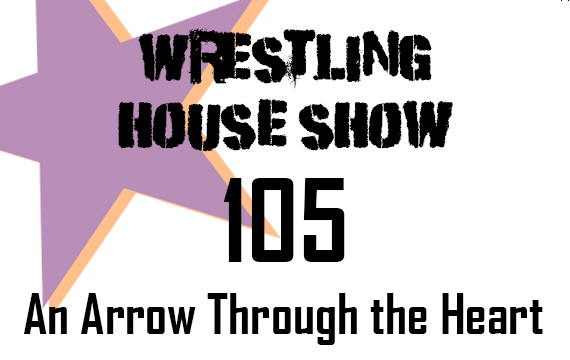 Find out all this and more on episode 105 of the Wrestling House Show! Download the show: Right click and Save As for episode 105!